WHAT: SWING INTO SPRING– Tampa Bay award winning jazz band La Lucha joined by Vocalist Whitney James will swing us to a close for our regular concert series. 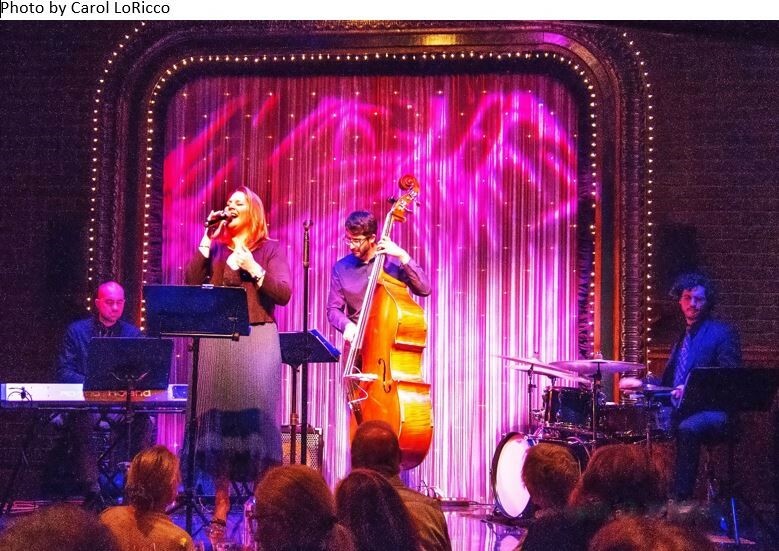 They will delight you with jazzy renditions of favorite romantic tunes from the Great American Songbook including “It Might as well be Spring”, “Spring is Here”, “April in Paris” and many more. The great Peace Church acoustics will enhance your enjoyment of selections by Bob Haymes, Richard Rodgers, Michel Legrand and many more. WHO: LA LUCHA JAZZ BAND with WHITNEY JAMES, Vocalist - Several times awarded Creative Loafing’s “Best of the Bay Jazz Ensemble”, La Lucha is a Tampa Bay based trio consisting of three friends from different parts of the world; Colombia, Mexico & USA with Alejandro Arenas on bass; John O’Leary on piano and Mark Feinman on drums. They will be joined by talented vocalist Whitney James who DJs on NPR Station 89.7 FM WUSF’s All Night Jazz Show on Sunday evenings. Whitney was featured on Piano Jazz Rising Stars, a nationally syndicated radio show on National Public Radio as one of the top 12 rising stars jazz artists worldwide. WHERE: PEACE MEMORIAL PRESBYTERIAN CHURCH (the pink church downtown) 110 S. Ft. Harrison Ave., Clearwater (corner of Pierce and Ft. Harrison). CHARGE: No tickets needed and seating is first come, first served. An offering will be taken ($5-10 minimum suggested). Doors open at 2:30 pm. INFO: For more info, call the church office at (727) 446 3001 or Concert Series Chair, Beth Daniels at (727) 461 1818.